A 10k plunger operated pot ideal for incorporation into a foot pedal. 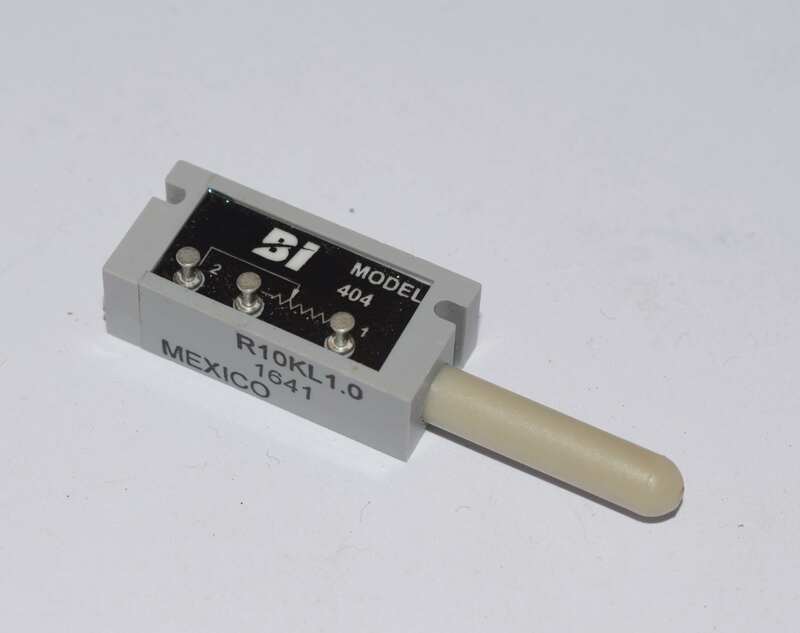 This is a cheaper, and slightly smaller, alternative to our original PLP-005, but has the same 1M operation lifetime. It has different mounting arrangements, as well as the slots, it has flat surfaces making it suitable for attachment by double sided tape for temporary alignment. The three terminals can have standard 7/0.2 wire soldered directly to them, making it easier to connect to our IDC plugs.